July 17, 2015 November 11, 2015 insngcrime, holiday, Insurance, Nigeria, prevention, world. Don’t resist if someone tries to take any of your belongings. Don’t chase someone who robs you, they may have a weapon. Instead call 911. 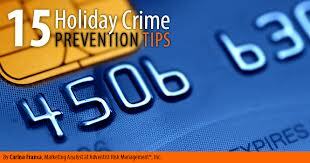 Carry only the credit cards and debit cards you need and avoid carrying large amounts of cash.